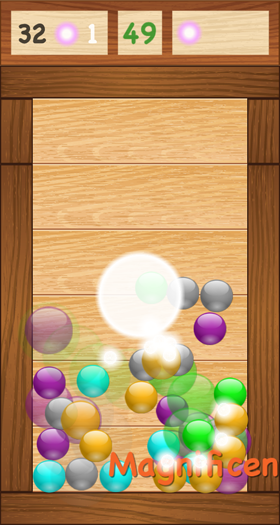 Marble Shake is a fun and lighthearted puzzle-arcade game. Players try to connect four or more marbles of the same color to break them. Physics-based gameplay and motion controls add a refreshing twist to this classic genre! Battle your friends in ONLINE mode for endless hours of excitement!